From the very beginning of its opening credits all the way to even its ending credits, Deadpool doesn't hold back with a flurry of comedic jabs. There are so many funny punch lines that you may miss because you'll be too busy laughing. As many fans already expected, Ryan Reynolds was made for this role and it showed greatly. His wit, charm and humor were on full display throughout. The supporting characters in this film also do a wonderful job sustaining the movie, and not leaving the burden of keeping you laughing only on Reynolds. Ed Skrein (plays "Ajax") plays a great villain that compliments Deadpool's character very well. Gina Carano was finally utilized properly as an imposing figure in her role. Even the character of Colossus was finally done in a proper way that will make you enjoy the character opposed to his previous portrayals in other X-Men appearances. The action scenes were also a great highlight to this film. Given the rated R rating, the violence was not held back in its gruesome form. Even better, while some of the scenes were really intense and fast paced, director Tim Miller was wise enough to slow them down so that the audience could fully absorb what they were seeing. In other words, it wasn't a bunch of blurry action scenes like in Man of Steel. One last minor note, the love angle was done in a very genuine way. Ryan Reynolds and Morena Baccarin (plays "Vanessa") shared some great on-screen chemistry. While romances in comic book films usually don't help the movie progress, this one succeeded in my opinion. It was done in such a way that you really do end up rooting for the couple's success. I think that any "critic" that attempts to find something wrong with this film is just unnecessarily nitpicking. The ONLY thing that MAY be considered "bad" is the constant references that lead into being inside jokes within the movie. Due to Deadpool's consistent breaking of the "4th wall", there are many jokes that may go over some people's head if they are unfamiliar with the former X-Men movies, Ryan Reynold's past movies (Green Lantern or X-Men Origins: Wolverine), or even the media criticism that has surrounded this film and the actors before. I can't hold that against this movie though so you can make of that what you wish. Fellow Nerds and Geeks REJOICE! This is what every adult comic book fan has been waiting for! We finally have another perfect comic book movie! The same way The Avengers broke the mold by introducing multiple heroes on one screen, or how Captain America 2 placed superheroes in a different movie genre, Deadpool is now a game changer in the comic book world. The R rating opened up so many more opportunities for this film in regards to the violent action, humor and originality. In other words, the R rating gives Deadpool a unique advantage that former comic book movies could never obtain. This was probably a combination of The Hangover + The Punisher. By the way, this is in no way shape or form suitable for a young audience. This movie is very "adult" in every sense of the term. I strongly urge you all to steer away from any internet talk about this film. There a lot of surprises in the film that you'll enjoy. There are also TWO end credit scenes so feel free to stay to the end to catch it. Don't be cheap, go watch this film. It deserves every penny spent, because after watching it, you'll want to see more like this. As of right now, Deadpool just kicked off 2016 as the best movie going and its putting a lot of pressure on upcoming films like Batman V Superman and Marvel's Civil War. 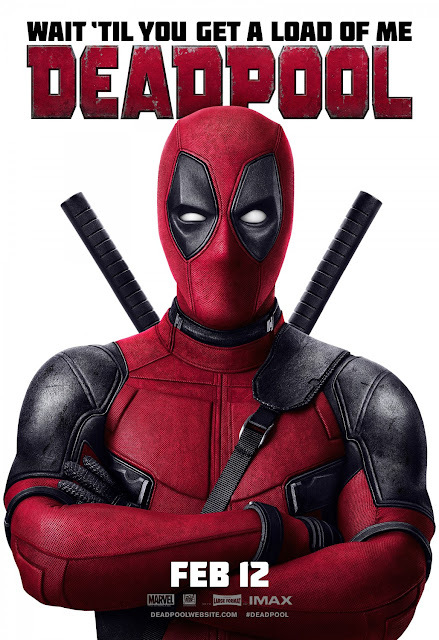 this movie very awesome from beginning to the end, had my stomach hurting laughing, but also great fight scenes, sarcastic lines, the perfect actor for DeadPool. I have got to see it again. Star Wars: ROGUE ONE in December... That should be rated R. I'd like to see an R rated Wolverine movie. Maybe the upcoming OLD MAN LOGAN. OoOOoO Star Wars would be dope as rated R. But Disney would never mess with their cash cow. lol Old Man Logan...now THAT I'd love to see. This movie KILLED IT! Definitely quoting your "Hangover meets Punisher" line.